While the name and the look of the controller might lead you to believe the Mindlink was an attempt to harness ESP, the intent was to make a controller you could control by moving the muscles in your head. You can try it right now—just picture moving your Pong paddle by raising and lowering your eyebrows . Sounds fun, right? 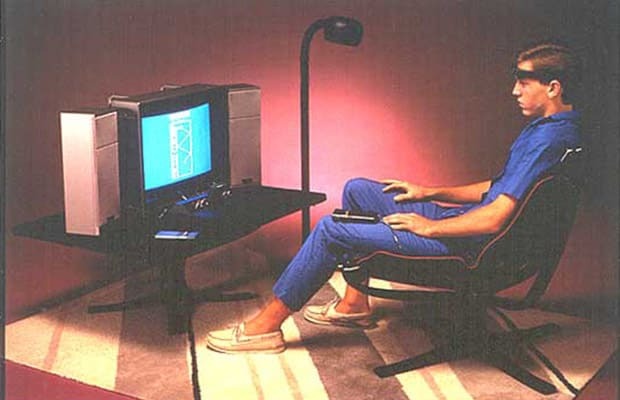 Thankfully, Atari never released the Mindlink and children everywhere were spared chronic headaches and forehead six-packs.